A total of 11 Alalā are flying free in the forests of Hawai’i after 15 years of conservation efforts and multiple attempts to return the birds to the wild. The Hawaiian Crow, also known as the Alalā, has been Extinct-in-the-wild since 2002, but after two recent releases, 11 individuals now fly free. The Alalā were driven to extinction on the Hawaiian Islands due in part to the presence of invasive predators, but conservationists stepped in to help the species by implementing a captive breeding program. Conservationists have been working towards the Alalā recovery program for 15 years and the recent releases are showing promising signs of success for the species. The captive breeding program aims to grow the population while supporting the crows’ natural predator avoidance skills. The conservation efforts have shifted the species from failing to recovery. In December 2016, five male Alalā were released into the wild at the Pu’u Maka’ala Natural Area Reserve, which had been restored and protected for the ideal habitat for the birds. Unfortunately, two of the birds succumbed to predation and the other three were returned to their aviary. After months of additional predator avoidance training, a group of six male and female individuals were released in September. Now, five more individuals have taken flight to join them. Conservationists took careful measures to release the birds from their aviary by hiding from sight and allowing the birds to leave their enclosure of their own accord. It took a total of six hours for all of the individuals to leave the aviary and conservationists are hopeful for their success in the wild. Although there are still concerns of predation in the wild, the Alalā flying free is an important first step to the long-term recovery of the species. Continued monitoring of the wild individuals and captive breeding efforts will hopefully be the starting point for a thriving wild population in the future. Emily is a recent graduate from UC Santa Barbara with a BS in Zoology. As a student, she discovered that she had a passion for the conservation of endangered species and their ecosystems. Her background in informal education has allowed her the opportunity to share her passion for animals with others, something she seeks to continue doing while working with the communication team. In her spare time, Emily enjoys exploring the amazing hiking trails found in Santa Cruz and tries to SCUBA dive whenever possible. 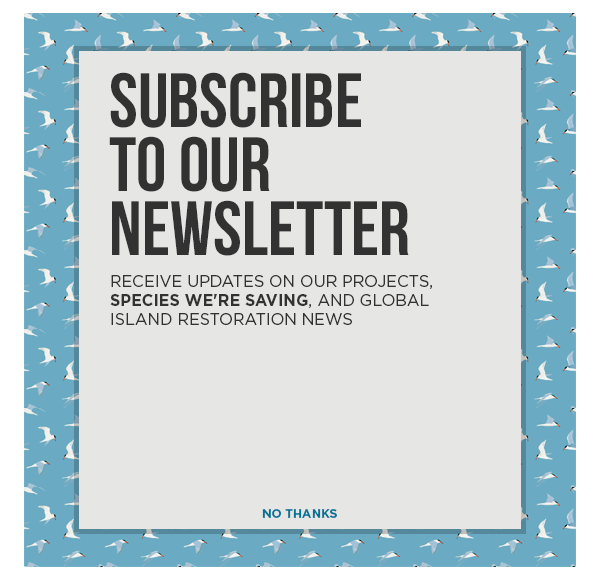 Emily is excited to join the Island Conservation team and to help share the amazing work that is being done here.